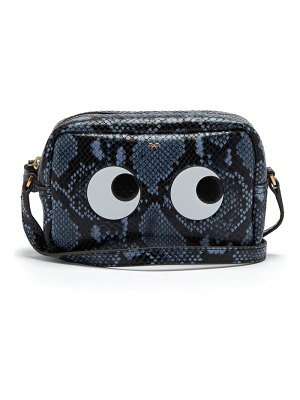 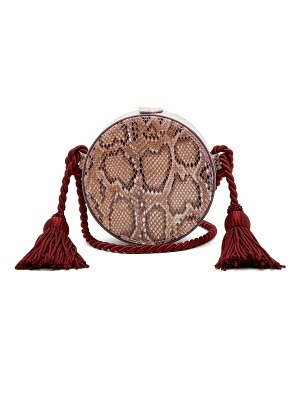 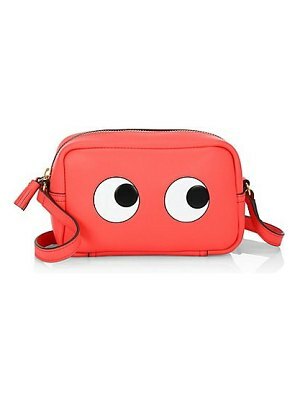 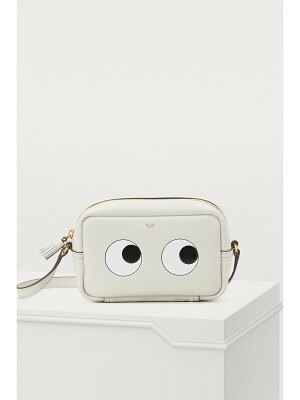 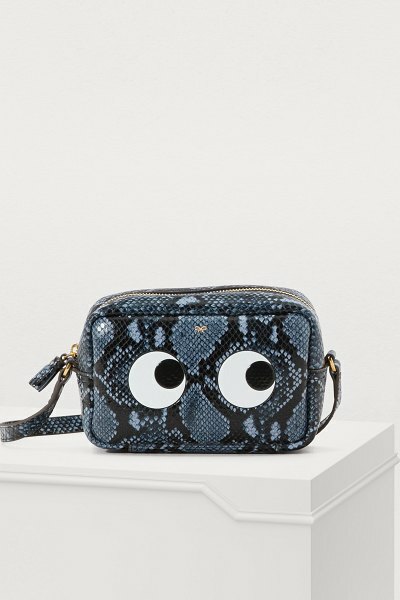 The cheerful humor that defines Anya Hindmarch is in full evidence in this Eyes python print mini crossbody bag. 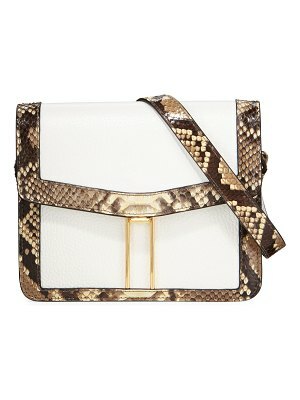 This bag is brought on trend by the colorful snakeskin print. 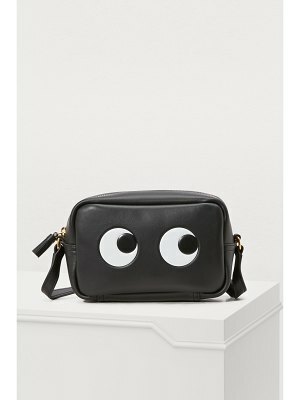 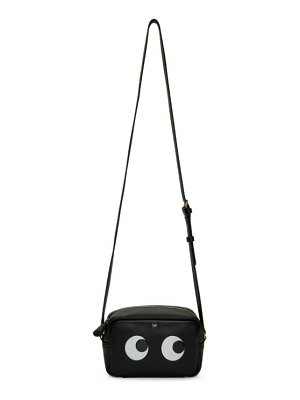 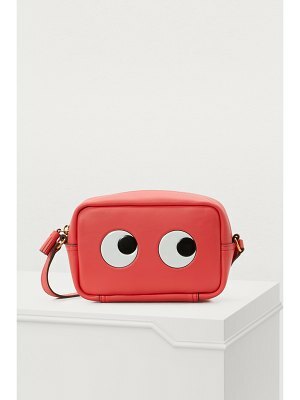 The iconic round eyes, benevolent yet interrogatory, are the highlight of this bag, which is the perfect accessory to an extra-large T-shirt dress.